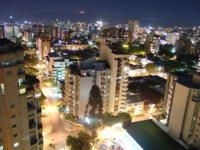 Bucaramanga is the sixth largest city in Columbia, in terms of population, with about one million residents in its metropolitan areas. Bucaramanga is a modern city, with a busy commercial and industrial life that makes it an excellent destination for business trips. The city also prides itself on its excellent research facilities, based at a number of universities. Located in the north-east of Colombia and on the Eastern Chain of the Andes and with an average temperature of 24ºC, Bucaramanga has several climatic zones, mostly hot and warm, but also windy; with plains, canyons, rivers and caves. 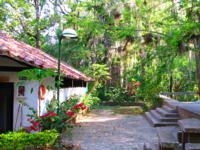 Bucaramanga is informally known as 'The City of the Parks' as it is home to 72 well-kept parks, including: Parque Romero, Antonia Santos, Centenario, Rovira, San Pio, Bolivar, De los Leones, Santander, Custodio Garcia, San Laureano and De las Cigarras. The Chicamocha Canyon is one of the greatest attractions in Bucaramanga and can be crossed by taking a 6.3 kilometre long cable car ride. The canyon is an area of land that adrenaline seekers will not want to miss; there are many opportunities to participate in a wealth of adventure sports, such as speleology, canyoning, hiking, paragliding, rafting and rock climbing. 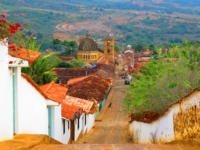 Another tourist attraction is the small and colonial Barichara; greatly beautiful and focussed on the conservation of its plants and animals - don't forget to bring a camera! 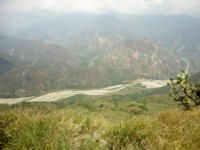 Popular tourist sites in Bucaramanga include the San Lorenzo church, the Dolores Chapel, Bolivar´s, Luis Peru´s and Lacroix´s House, Mirador Morrorico, Mirador of Palonegro and Chicamocha National Park, where it is possible to observe the imposing Chicamocha Canyon. Bucaramanga has an excellent infrastructure with hotels of the best chains of the country, with important restaurants and nightclubs.